Is your little one so cute that people talk about him behind his back? How does she dance so well? Is she from space? People might wonder if your child is even from earth, to begin with. Is your kiddo actually a Flora Colossus from a planet spinning in a far-far away universe? You, yourself might even wonder how your child got so otherworldly cute as well. Which raises some pretty serious logistical quarries. First, if we were you we'd call the hospital where your child was born to ask about any alien human mix-ups that may have happened. Second of all, how are you going to react if your child begins to sprout leaves at a certain age, how are you going to react? With clippers and herbicide or fertilizer and plenty of fresh water? It's a tough decision, one that might be hard to make at the spur of the moment. To prepare yourself for this potential event suit up your kiddo with this adorable Groot suit. 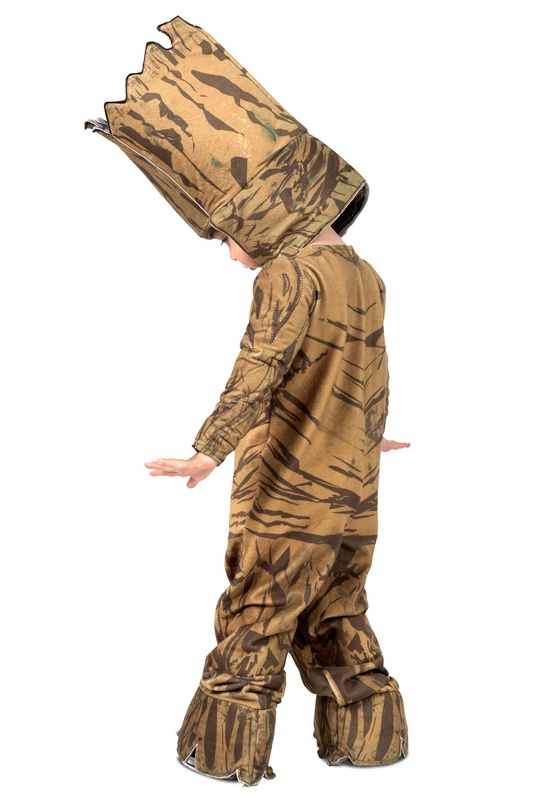 When your child is dressed up in this costume their fierce cuteness is sure to level up. It'll be a long time before your little one is ready to take on the galaxy, in the meantime we're sure your cutesy kiddo is sure to love his new intergalactic persona. The transformation will be easy, peasy with this bark patterned jumpsuit that zips up the front. The bark hood is a show stopper that secures with a touch strip in the front. 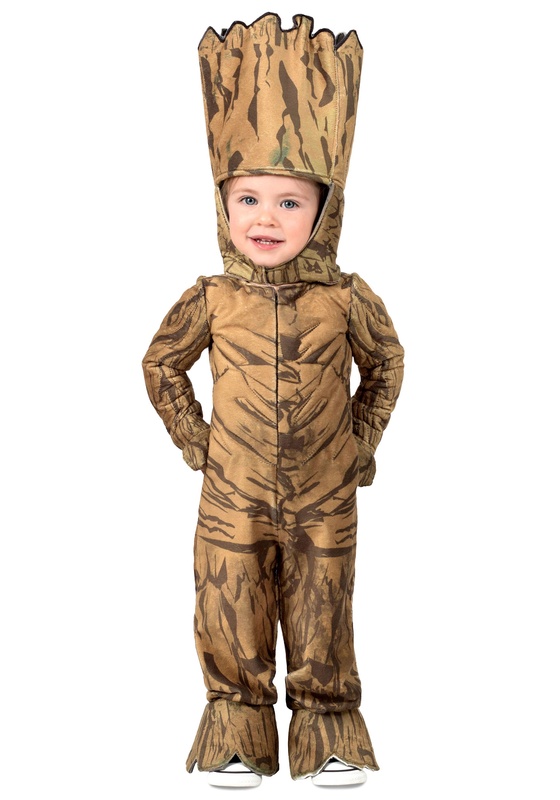 Yes, your child might have some other worldly charm but she'll be ready to take it to a whole new level in this adorable Groot suit! All you have to do now is flip on those funky seventies beats and watch the neighborhood jaws drop. So the gossip was true all along!